Vietnam is a country being affected by increasingly severe climate change. This is particularly evident in the increase in average temperature and heat waves, which have increased both in intensity and maximum temperature. 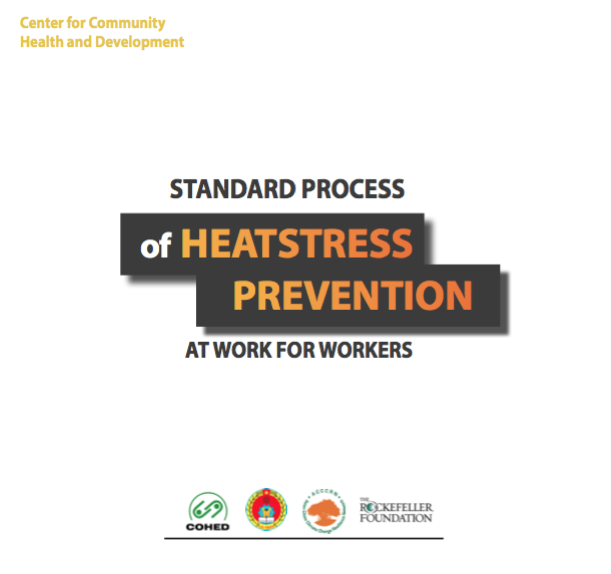 In assessing the need for action to reduce the thermal impact on workers and reduce labor insecurity caused by the heat, COHED Centre has developed this document “Standard process of heat stress prevention at work for workers“ within the framework of the project funded by the Rockefeller Foundation. Participation and positive contributions have been received from the Labour Safety Department of the Ministry of Labour, Invalids and Social Affairs and the Department of Labour, Invalids and Social Affairs of Da Nang. This document is issued for the purpose of guiding and supporting businesses to take measures and specific actions to prevent and adapt to the effects of heat in their production and business activities. The document also suggests specific activities for each department’s participation in a model of work Health and Safety, organization and management that Vietnamese enterprises have deployed under the provisions of the State of Vietnam. Page generated in 1.08 seconds.